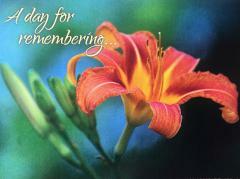 Why Don't We Have Funerals For Our Pets? 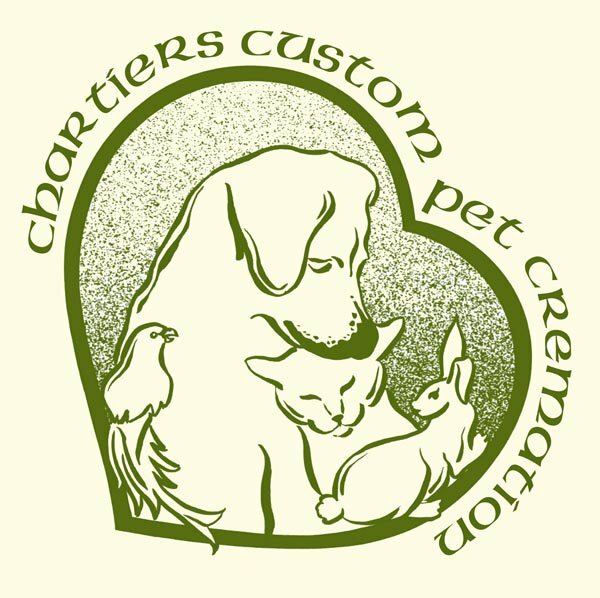 Recognizing that need, Chartiers Custom Pet Cremation hosts a Pet Memorial Sunday event for those who are suffering such a loss. Over the past 12 years, families have found a great deal of comfort participating in this unique service as they pay respect to their beloved best friend. 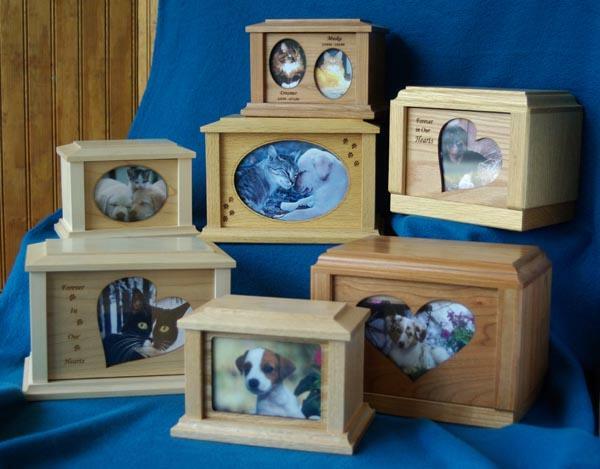 Chartiers Custom Pet Cremation Accommodates Special Requests. We recognize that your pet is unique to you and your family. With this one-of-a-kind bond often comes a family's desire to memorialize their pet in a special way and CCPC strives to fulfill that request. When receiving your pet, I snip a little of your pet’s fur/feathers and wrap them around a silk rose bud for return to you with the cremains. 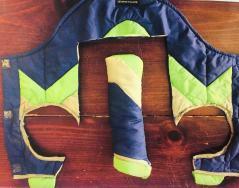 The cremains are placed in a fabric bag that I hand make specifically for your pet. To accomodate many different choices, I have on hand over 120 different fabrics from which to chose. If you would prefer, you can provide fabric that has a special meaning to your family. In the past, families have provided a favorite blanket, the cover of the pet’s favorite pillow, a neckerchief, the pet’s winter coat (displayed above in photo), or some other fabric that has a special meaning. The fabric bag allows you to take your pet home without the need to make an urn decision immediately. From your initial grieving through the days of remembering and honoring your pet’s gift of life, Chartiers Custom Pet Cremation is here to see that you have choices and to fulfill your special requests for the pet you cherish so deeply. Manufactured in the United States, this urn allows you easy access to frequently change the picture of your beloved pet, if you so desire. Frolicking while raking the leaves, scampering about in the first snow, snoozing by the campfire or playing catch -- you can change them to suit the seasons and rekindle your fondest memories. Appropriately named Magic Window due to this attribute, the urn is available in Cherry, Oak, Walnut, and Maple woods and in small, medium, and large sizes.